I'd wager pretty comfortably that the majority of metal fans out there started their journey with bands that they would now consider mainstream. If somebody tells you their first endeavors in metal occurred by just happening upon a discography of a band like Immolation then that somebody is either a flat-out liar or a unicorn. Like it or not, as is the case with other genres of music, the mainstream is a piece of the puzzle that forms the holistic view of metal. It's normally here where bands are referred to as "gateway" bands. Trivium was such a band for me. 2005's Ascendancy, the crown-jewel of their discography, showed early high-school me that there were much heavier things to be discovered other than the slew of radio-cuts from Metallica and Slipknot I was primarily caught up in at the time. Over the course of their next five albums, Trivium played a balancing act with Matt Heafy's screaming:clean vocal ratio, effectively experimenting with each extreme of that spectrum and much in-between. With The Sin and the Sentence, the band has found a sweet spot in their sound by focusing their efforts in the dead middle of that aforementioned spectrum; something that should appease both camps of their fan-base. 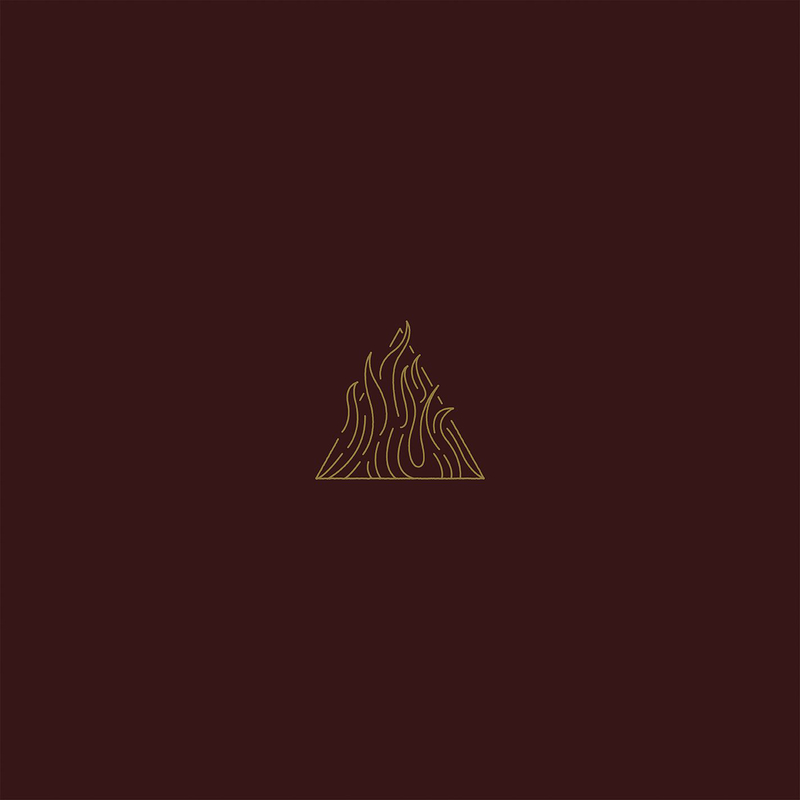 The title track opens up the album with a flurry of guitars and drums that, for a few moments, make you wonder whether Trivium just out of the blue became a European power metal band. While a pleasant surprise, it was also relieving to hear it return into the band's more standard-fare. The verses are carried by the clean vocals that dominated the band's previous album, Silence in the Snow. However, The pre-chorus is the first sign of the heavier elements of yore being brought back into the fold. With Heafy's singing layered with a harmonized duo of screams and guitar riffs, it makes you realize that each of these elements are necessary but wouldn't be as effective on their own; a notion that you'll be constantly reminded of throughout the album's duration. The track also erupts at the end with a breakdown that delivers a gritty edge that's been suppressed over their past few efforts. The rest of the tracks on the album play an interesting back and forth with each other. After the album's opener comes a trifecta of tracks that, while featuring extremely accessible vocal hooks, also utilize riffs, blast beat drumming, and grooves that keep a consistent tonal heaviness. These elements constantly playing off of one another is what brings balance by not letting one side get too out of whack, "Beyond Oblivion" being a great example. This isn't to say, though, that all tracks are perfectly balanced. Some tracks have more of a clear slant. Interestingly enough, "The Wretchedness Inside" was a song that Heafy originally penned for another band. Since that band didn't use the song, Trivium picked it up and turned it into an even heavier version of the demo, which ends up being the heaviest outing of the whole album. "The Revanchist" also features dynamic guitar work that is reminiscent of the title track from Shogun. If I ever found a riff or melody that didn't particularly capture me, there would almost always be another riff or melody that would pick up that slack. For instance, the main melody in "Beauty In the Sorrow" is my least favorite on the album, but the track's breakdowns and accompanying riffs are top-notch. "Other Worlds" has one of the catchiest choruses on the album, but the rest of the music doesn't do much to push it forward. This give and take that goes on on a per-track basis has a fascinating effect on the overall album listening experience. Early Trivium releases suffered from front-loading their album's with all the singles which made the back halves pale in comparison. The track-listing on The Sin and the Sentence, on the other hand, executes a delicate progression that is both engaging and deliberate throughout. While it might not elicit the same reactions as listening to Ascendancy or Shogun for the first time, The Sin and the Sentence is an album that finds Trivium accepting all the elements that drew their fans to the band in the first place. When they try to be nothing but heavy, they're criticized for overcompensating. When they try to lean more on their pop sensibilities, they lose the essence of what makes their sound compelling. Logically, the happy medium here is actually in the middle. While some of the tracks on this album can operate as singles, all of the tracks actually shine brighter when listened to together. Front to back, The Sin and the Sentence is the most comprehensive and well executed Trivium album in the past (almost) decade.